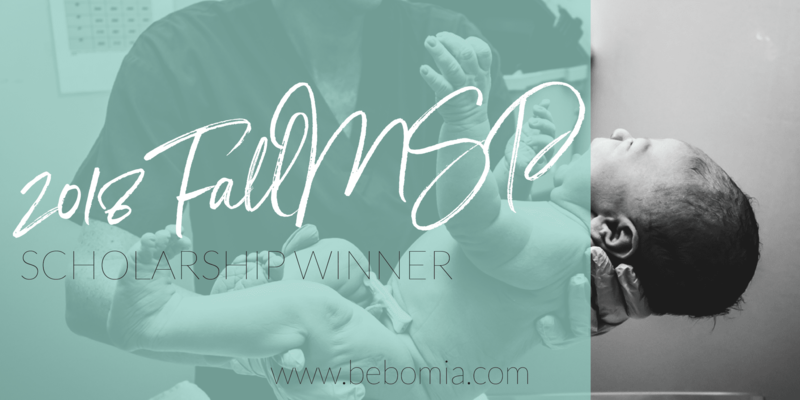 For the Fall 2018 Doula Maternal Support Practitioner Program Scholarship at bebo mia inc we had some amazing applicants and are thrilled to present our winners’ submissions. With the help of some incredible sponsors like Olivia Scobie & we were able to offer Scholarships to our combined fertility, birth and postpartum doula training. In 2018, we also welcomed four new people to the team, in the form of our very own Scholarship Committee! Today we are pleased to introduce you to the recipient of the Philanthropy Award, Joanna Jordan. The Philanthropy Award recognizes an applicant whose project, personal goals, or business plan includes a component of paying it forward. 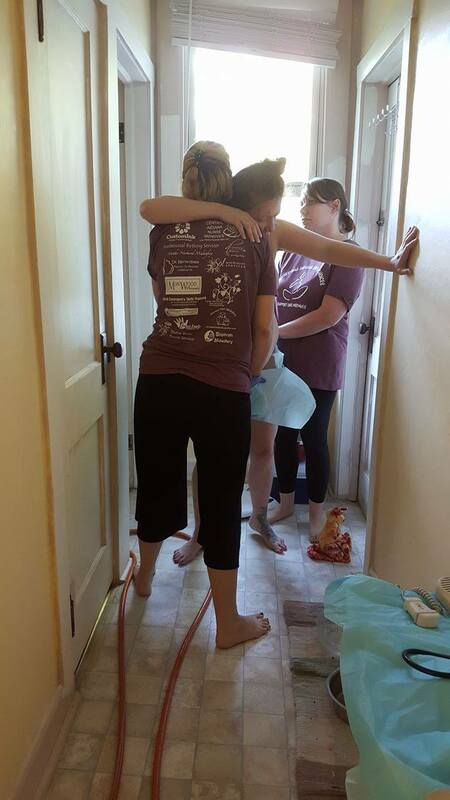 The recipient demonstrates a spirit of altruism and exhibits a dedication to generosity, and has a solid plan around how they will use their doula training to give back to their local community or to underserved populations. I’m Joanna. Woman, mother, caregiver, soon to be doula. I love all things women, birth, and babies. I knew I loved birth when I was a teenager and my friend shared her birth experiences from a birth centre with me. She even showed me the videos, and I fell in love. I’ve always been a huge advocate for women and minority groups, I imagine that is a side effect of being raised by a social worker. Somehow I didn’t realize as a teenager what my calling was. I really struggled with trying to find something I was passionate about that was also an “acceptable” pursuit. Right out of high school, against my better judgement, I went straight to college as a Literature Major. I love Lit and reading but it wasn’t something I wanted to do for my lifelong career so I flunked out. I took some time and volunteered for AMERICORPS Vista working at a homeless shelter doing grant writing and fundraising. After that I tried to go back to college and failed again. After working for a few years in several different minimum wage jobs I certified as a CNA. When I was pregnant with my son I became a stay at home mom and expected that to last for several years at least. I was then living in North Carolina with my son’s biological father. When I had my son in December 2012 I blindly trusted the medical providers. When he didn’t arrive by the “due date” they convinced me to rush him along. After augmentation, Pitocin, an epidural, and 36 hours, I had my son. I didn’t feel connected to my labor and birth at all. After I had him I started reading and devouring all the information I could about natural birth and birth choices. I discovered that there are so many more choices that we have as women but we are not given. This permanently changed the way I saw the world. I wanted to start pursuing a career as a birth worker. Unfortunately, in July 2013, when my son was six months old, my son’s father kicked us out. I moved back to Indiana with my family and tried to figure out my next steps. I applied for school and was getting everything in place to start pursuing nursing school. Four months after my break up, in November 2013, my dad died very unexpectedly of an accidental overdose, which rocked my world. I barely recovered from that before classes started in January. I actually did really well for once. I loved learning and was doing my best so that I could give my son more. But the longer I was in the classes the more I realized nursing was not a field I belonged in. In January of 2015 I suffered a missed miscarriage, a blighted ovum they told me. The OB told me to take cytotec since things weren’t moving along. Unfortunately, the cytotec caused severe hemorrhaging to the point that I needed a D&C and blood transfusion. Again the medical field failed me when the OB neglected to inform me that cytotec could cause hemorrhaging after I asked about risks. 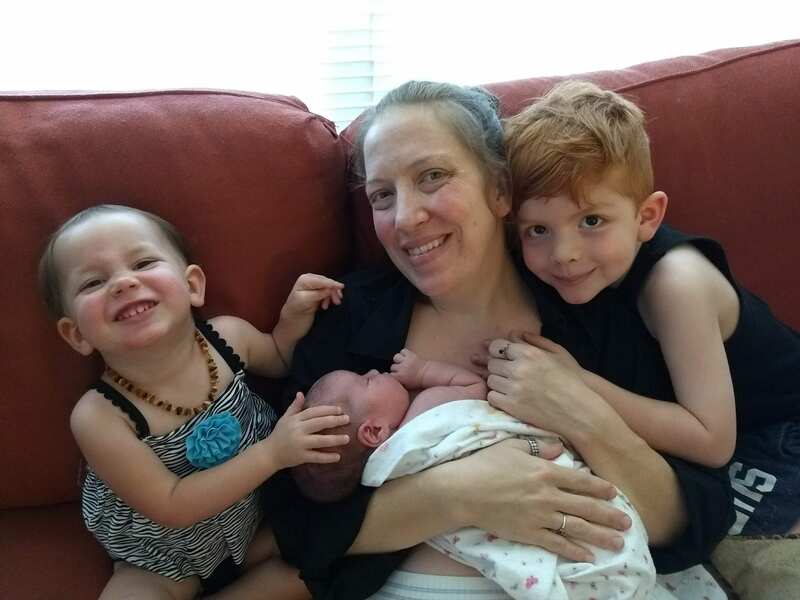 When I got pregnant with my daughter in October 2015 I decided I would home birth. I’d had a midwife lined up since my second pregnancy and subsequent loss. I spent my pregnancy reading everything I could about natural childbirth to prepare myself. When it came time to have my daughter, I spent a beautiful day of labor with my midwife, her assistant, and a close friend. Unfortunately, my beautiful home birth turned to an unnecessary hospital transfer. I arrived pushing and my daughter was crowning. The nurses held me down by my wrists while another held my baby in. I swore for the third time that I would never put my birth in the hands of a doctor again. Eight months later my daughter’s father, my fiancée, and the love of my life, died unexpectedly of an overdose. My world was shattered. Within two weeks I relocated to Florida to be with my family. In August of 2017 I met my youngest son’s father. We had an immediate chemistry and magnetism. It was fast and intense. Within two months of meeting we were pregnant. And that’s when things started going south. My entire pregnancy was wrought with stress and anxiety. He would withhold affection, was verbally, emotionally, and mentally abusive. He would yell at me all the time, never “allowed” me to have a voice, and made a point to talk badly about anything that gave me joy in life. There was no way I’d pursue my dreams, much less think about them or sharing them with anyone. We had our son in June 2018 in a beautiful home birth, despite the lack of support from my now ex. I birthed my son peacefully into my arms with the help of my amazing doula and midwives. Things continued to worsen with my ex and he finally left. I initially hoped to find a way to work it out, but the more distance I got the more I realized how much better off I was. Joanna labouring with her third baby. 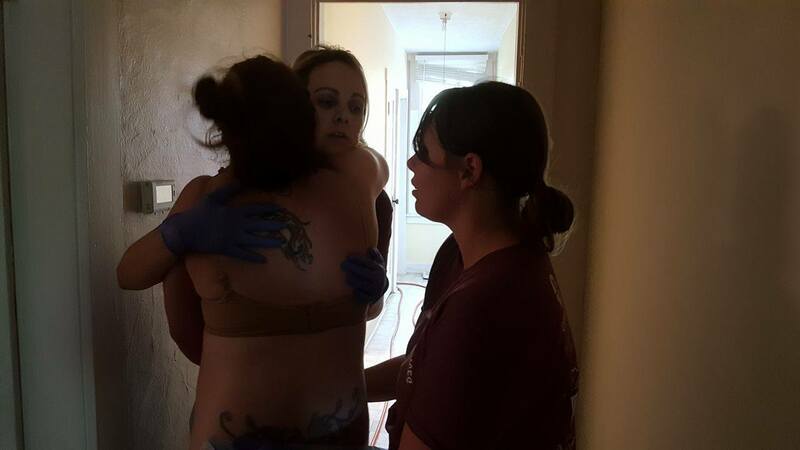 Joanna receiving support from her Midwives. Good things started happening to me. I was happy again. My kids were happy. We were much less stressed. I was facing the problem of needing to have an income but being unable to afford daycare to work outside the home. I’d known for a long time that I wanted to work with women. To empower them to understand their bodies and take the power back from the patriarchal society we live in. To know and understand their choices and rights. To make educated, evidence based decisions they can be confident in. I started researching doula programs. Started thinking about the possibility. I researched programs but as a now single mom, they were unattainable due to the cost. I was told more than once that if it was “important enough” to me, I’d find a way. Only that is not how it works; it was important enough, but keeping my utilities on and rent paid is more important. One day in mid-July, my best friend Brittany saw an ad on her news feed for the bebo mia informational webinar and shared it with me. I excitedly signed up and anxiously waited for 8pm when it started! As I listened to the information I got so excited, it sounded like such a great program with the same values as me. I was stoked but knew the barrier of cost was still a problem. I found out there were a few scholarships available and I excitedly started my application immediately after the webinar. Right as I got to the end of what I felt was an AWESOME application, my page reloaded and I lost EVERYTHING. I was so devastated. But determined. So I started over and redid it all, convinced that it wasn’t nearly as well done as my first application. I submitted it and anxiously waited. As I waited I began to question if I had included everything I intended to and if it was good enough. Had I gone into enough detail about my plans to pay it forward and help women that are low income, single mother, and/or in marginalized groups. I needed this so bad so that I could start my business and gain financial independence in addition to pursuing my dreams. Things had been so hard since my toxic ex left and I needed something to give. I prayed, I hoped, and I dreamed. Finally, the day came and I eagerly waited for the live announcement. As I listened to all the winners I thought to myself that there is no way I could compete with these amazing, powerful, strong women and their stories. As they started to describe the winner for the Philanthropy Award it sounded familiar, but I was sure it couldn’t be me. When they said my name I could not believe how blessed I was! I am so excited to be starting my journey as an advocate for women and cannot wait to start changing lives one woman at a time!